For 60 minutes last weekend, the Maroons’ efforts at raising their shooting percentage paid off. In the first half against the Brandeis Judges on Friday, Chicago shot 46.9 percent from the field. Against NYU, the Maroons shot 48.4 percent. But in the second half against the Judges, the Maroons’ shooting looked similar to that in their game against Emory—the game that prompted them to improve in the first place. They shot just 23.1 percent in the second half of Friday night’s contest, and the Maroons’ average leading scorer, second-year guard Alex Pyper, was held to just one point in the game. The shooting difficulties allowed the Judges to come from behind and win 59–55. 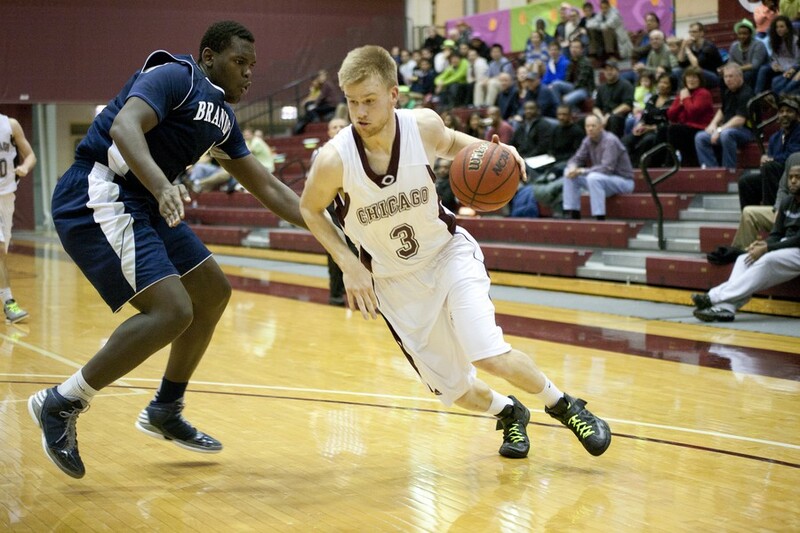 Chicago rebounded to beat NYU 77–58 on Sunday. The Maroons controlled most aspects of Sunday’s game. Aside from the high shooting percentage, Chicago out-rebounded the Violets 13–1 on the offensive end. The Maroons also had four turnovers compared to NYU’s seven. “If you’re doing those two things, if you’re knocking down some shots, you’re in a pretty good place,” McGrath said. And Chicago looks to continue its offensive dominance. This Friday, the Maroons travel to Cleveland to face Case Western. Although the Spartans have struggled in UAA action, McGrath said that they have the ability to rise up at any time. While McGrath has not scouted Carnegie Mellon in depth yet, he said he has a feeling of what is to come. “They can definitely beat you at any time,” McGrath said. The Maroons have struggled away from home this season. They lost both of the UAA games they have played on the road and are 1–4 in away games overall. Chicago tips off against Case tonight at 7 p.m. CST and Carnegie at 11 a.m. CST.